Just a quick note to mention the passing of Nicol Williamson (September 14, 1936 – December 16, 2011), one of the great actors of our time and, notably, one of the best protrayers of Merlin ever. Though he died in mid-December, his passing has just been formally announced on his website by his son Luke. 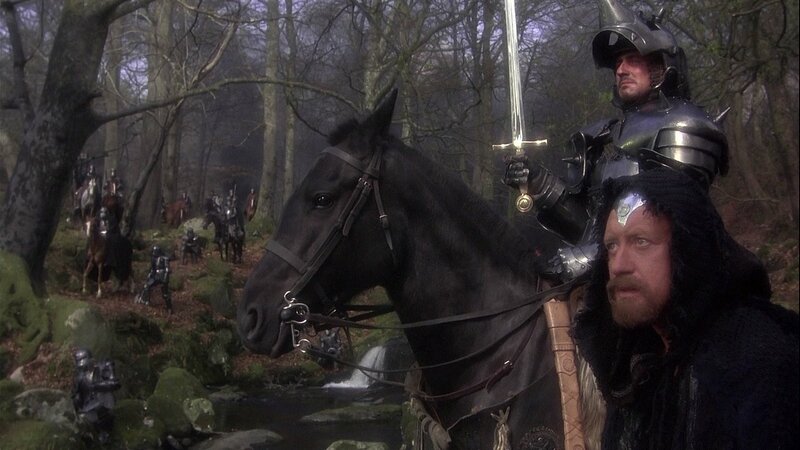 Below, Nicol Williamson is pictured (to the right) in a still from John Boorman's Excalibur (1981). John Wick Presents . . .